This palette contains 12 eyeshadows for just $16USD, which converts to about $20CAD. That is a phenomenal price point! 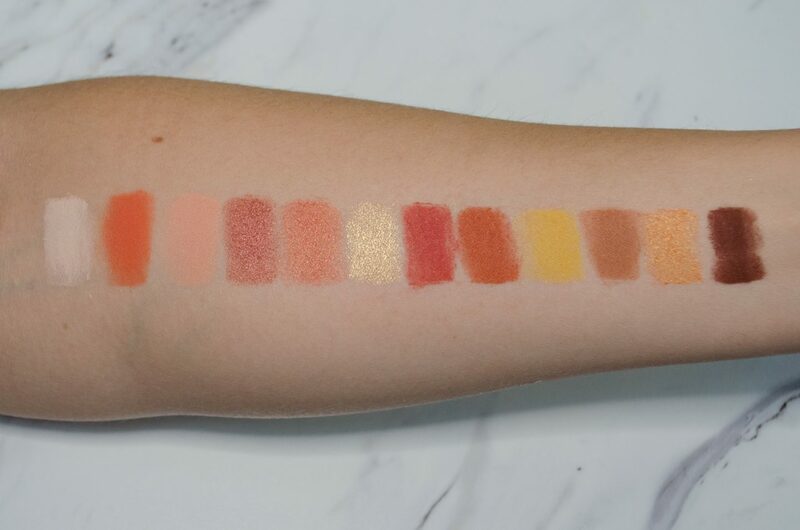 The quality is great, as I have come to expect from Colourpop shadows. The quality is on par with the individual pans that the brand released earlier this year. I reviewed some of the matte shades here. The quality that Colourpop puts out when it comes to their eyeshadows is amazing, and truly cannot be beat for the low price. The brand has proven time and time again that it can create products comparable to high-end offerings, this product is made in the USA and the brand does not test on animals. All wins in my books! 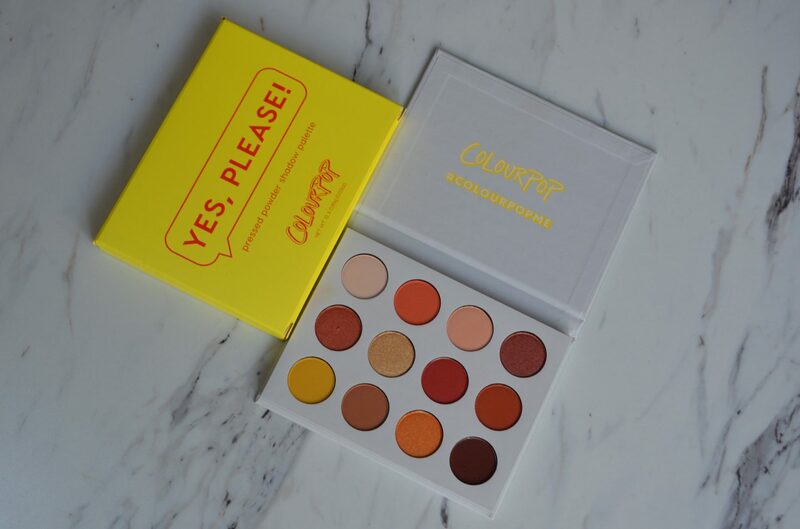 Warm toned lovers will adore the colour scheme that Colourpop offers with the Yes Please Palette! This palette features 2 finishes – 4 metallics and 8 mattes. There are some really unique shades to this palette that I think make it stand out amongst the sea of warm tones that are on the market. Big Cocktails, Spoiled, Mischief and Chauffeur add so much value to my personal collection! Both finishes are well formulated with amazing pigmentation, blendability and colour payoff. The tones work perfectly together to create a vast array of looks, perfect for both beginners and experienced makeup users alike! If you are able to grab this in today’s restock, I would highly recommend it! 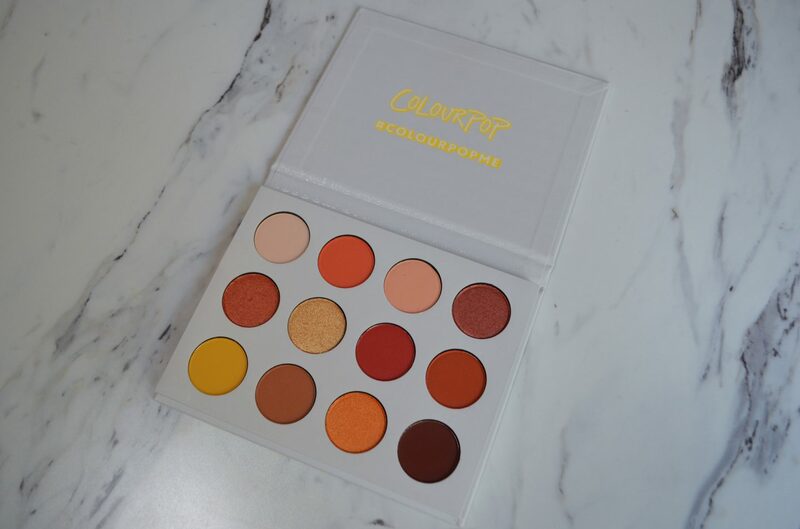 Whether you have other warm toned palettes in your collection or not, I definitely think this cutie is worth adding to your cart! Have you purchased it? Want to see it in action? Check out the video below where I created a look using this palette!